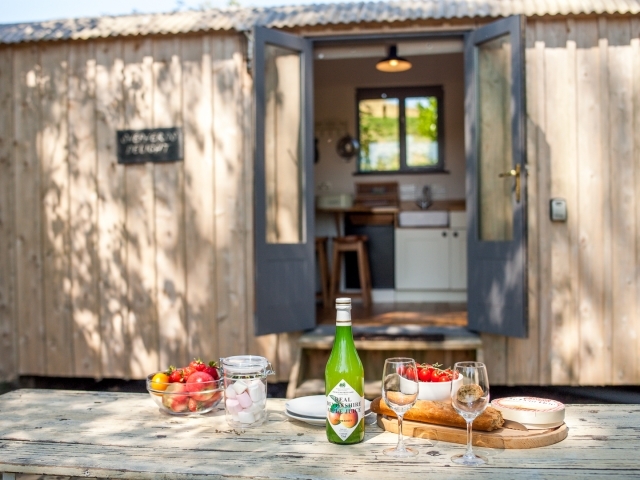 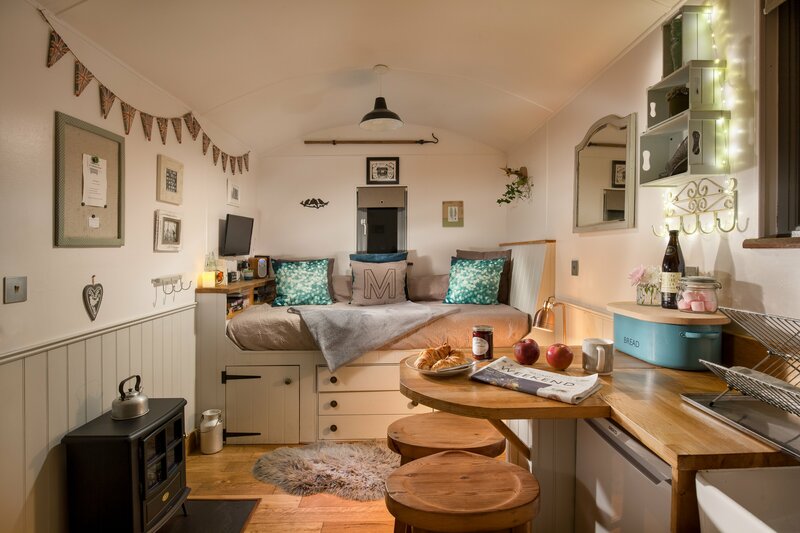 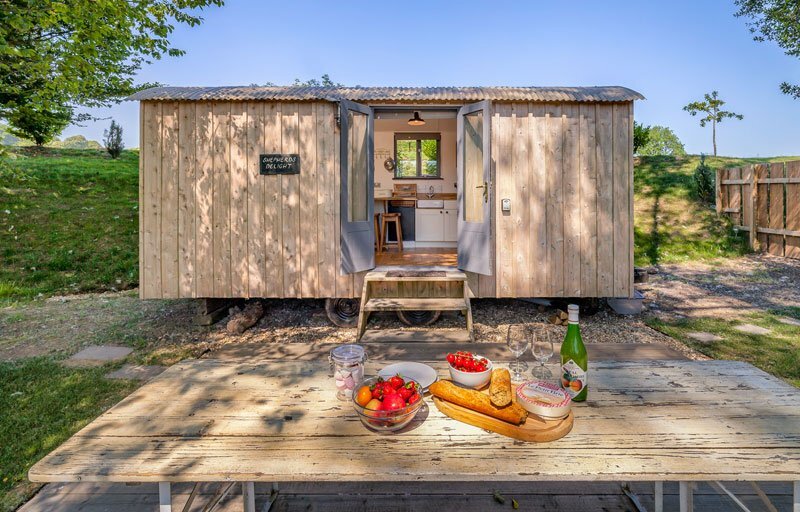 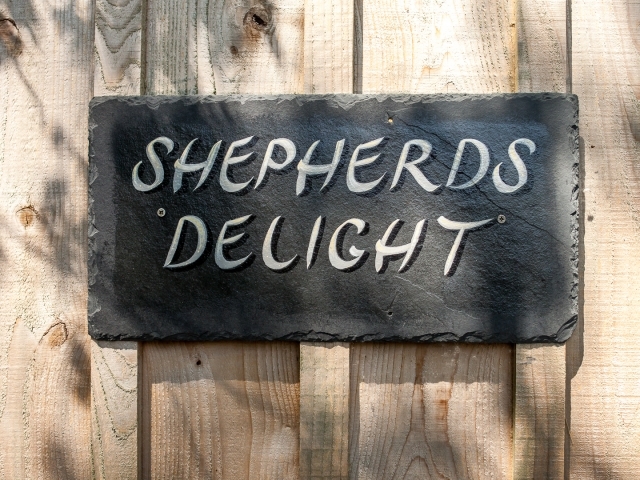 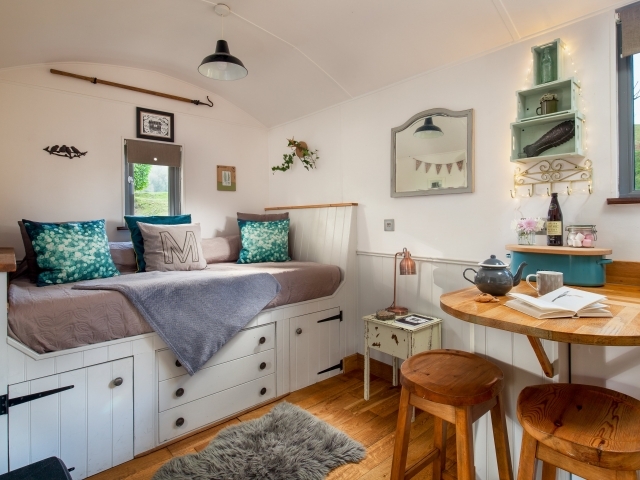 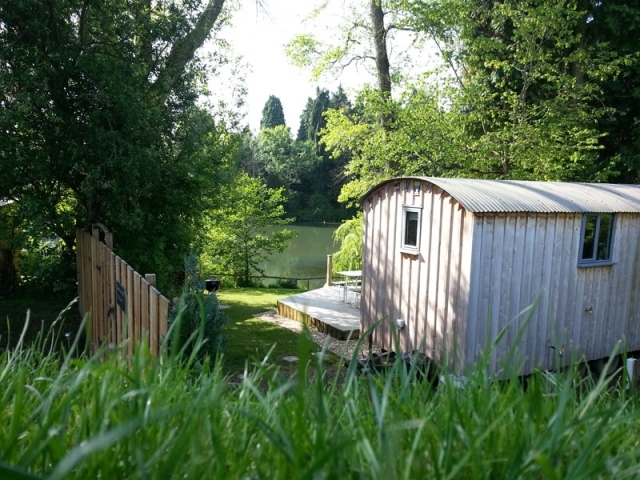 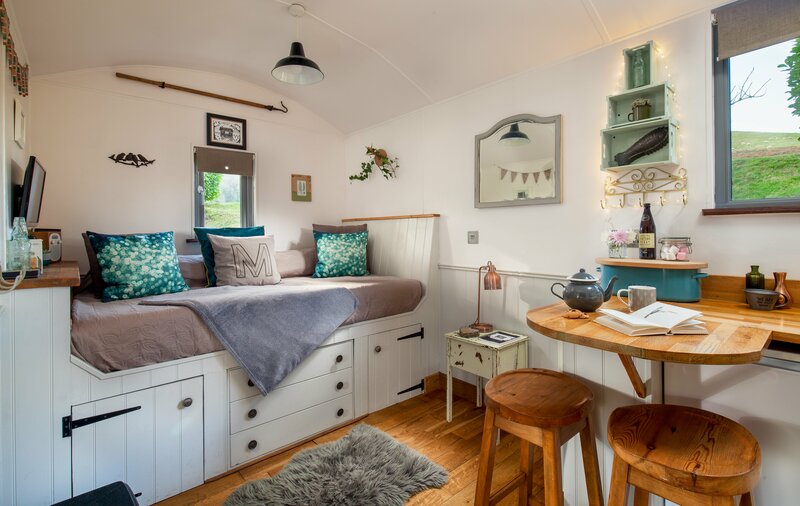 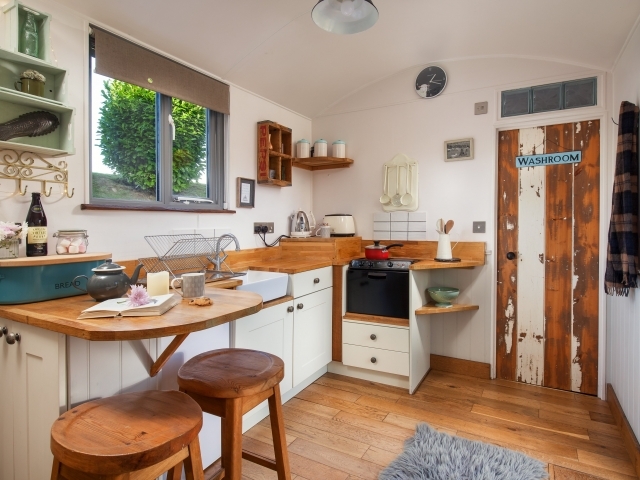 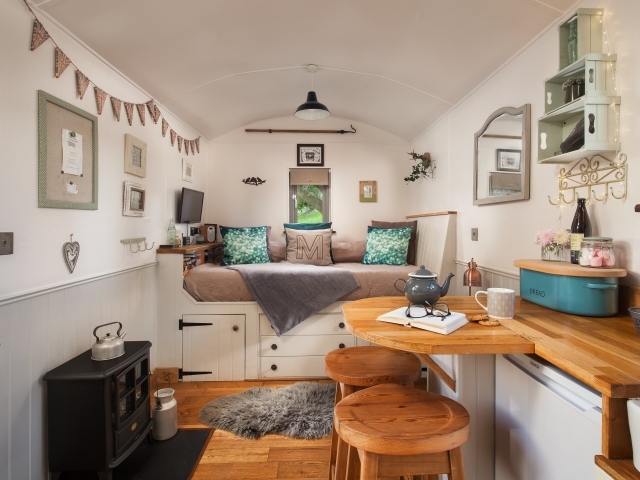 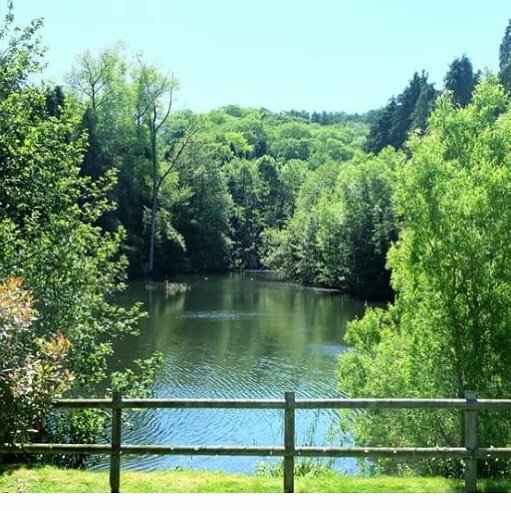 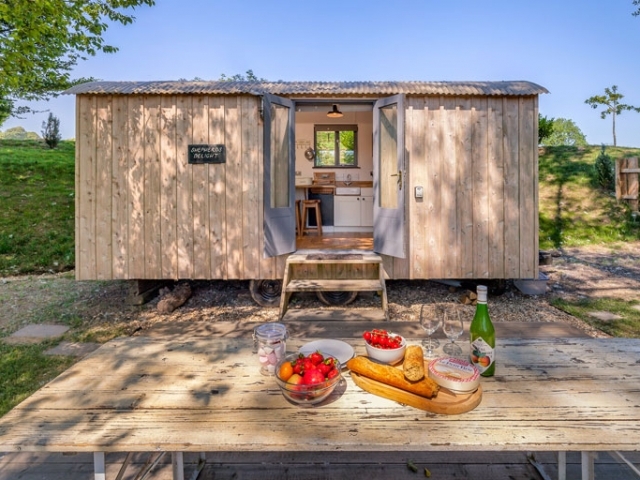 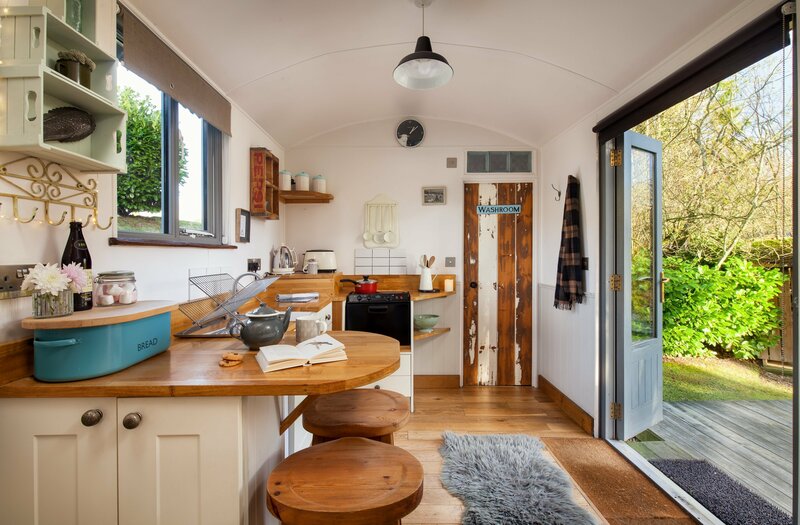 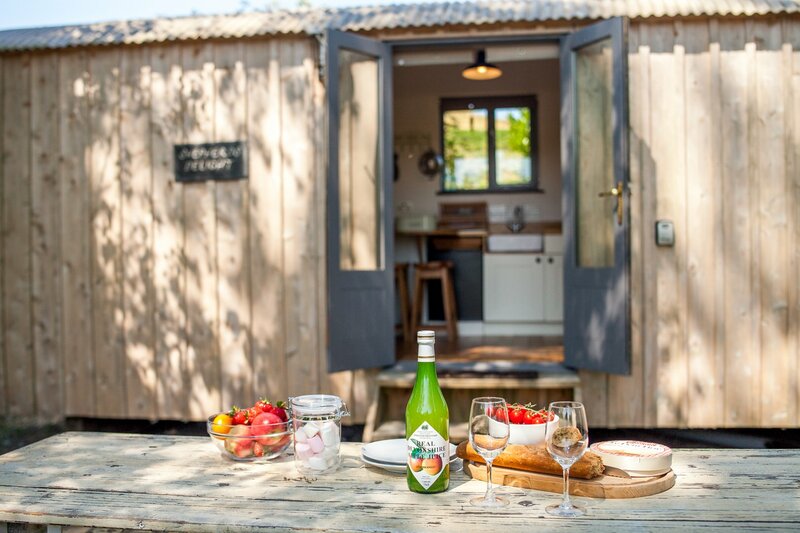 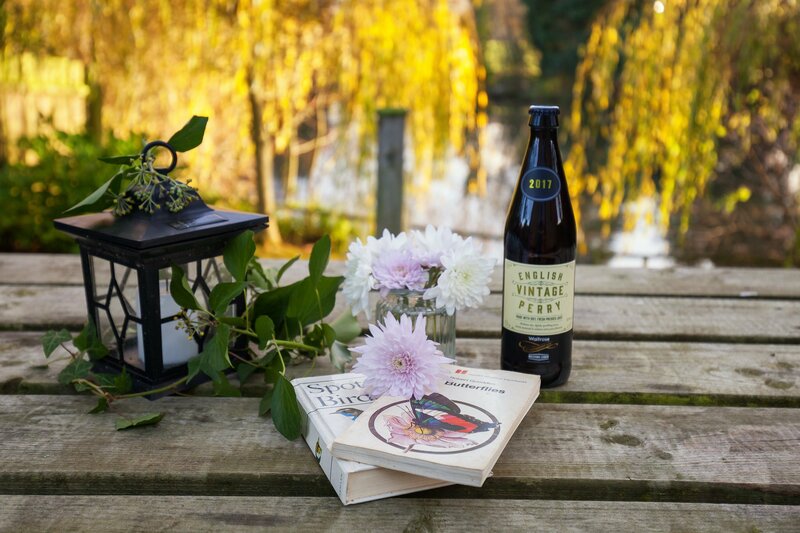 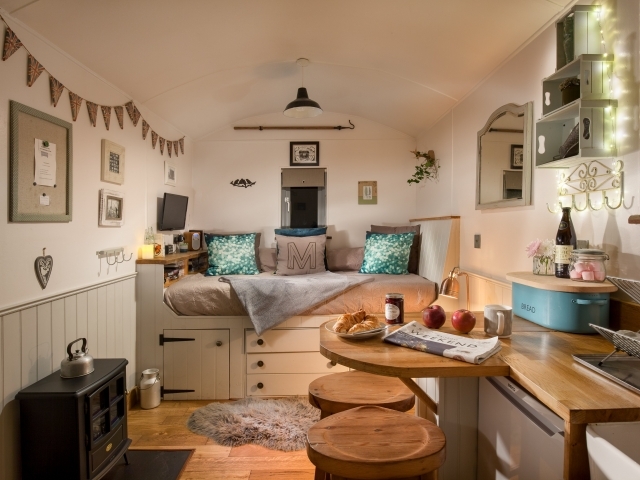 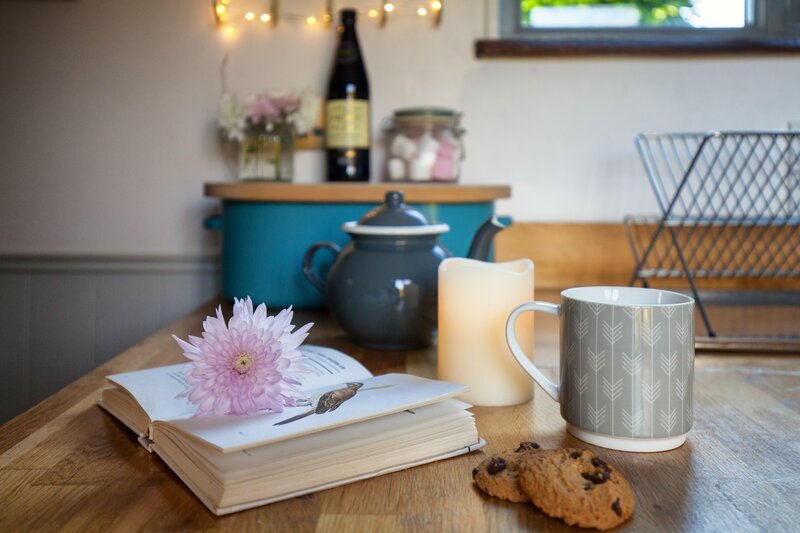 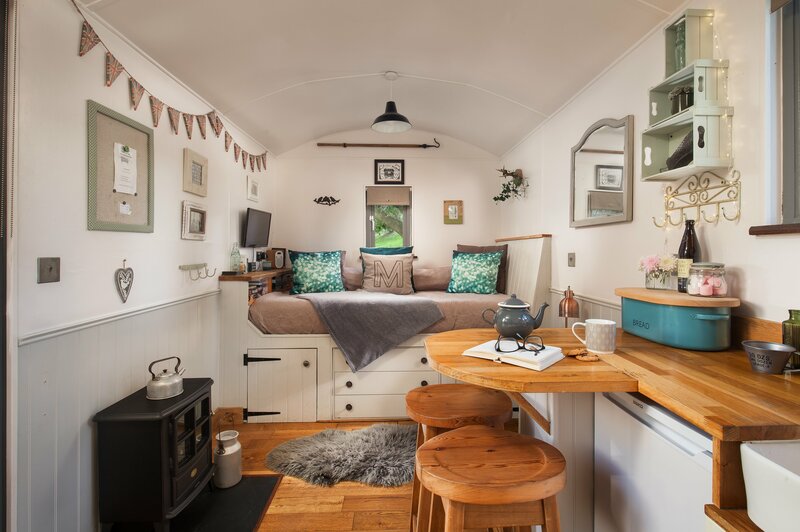 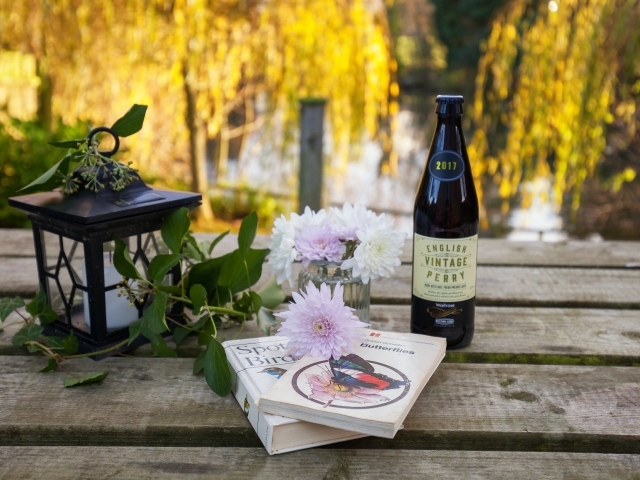 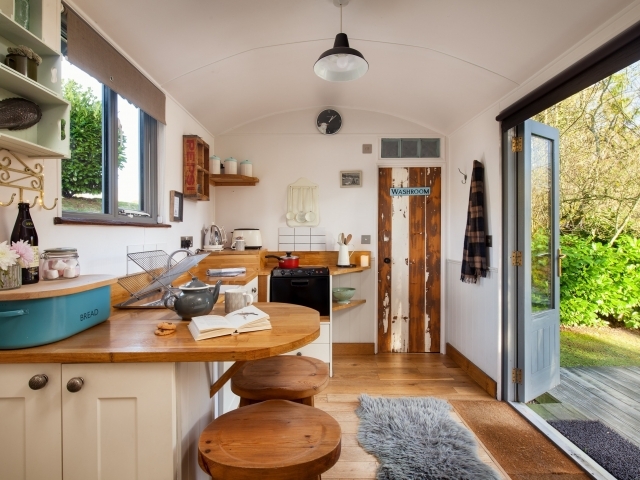 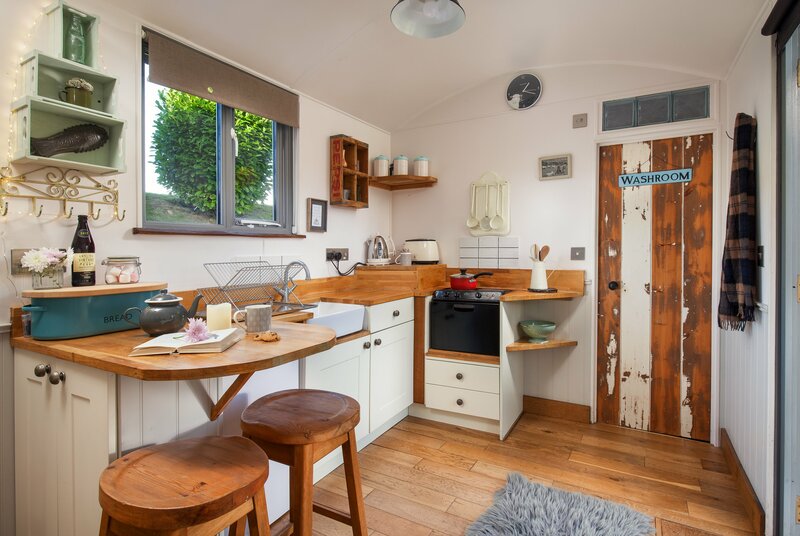 Shepherds Delight is a luxurious, shabby chic shepherds hut, which has both a hotel-style bathroom and a fully equipped country-style kitchen. 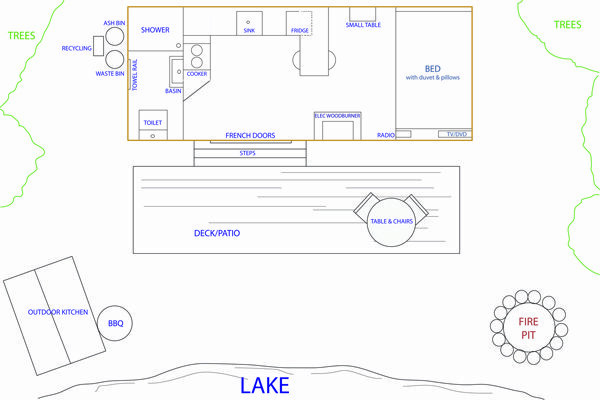 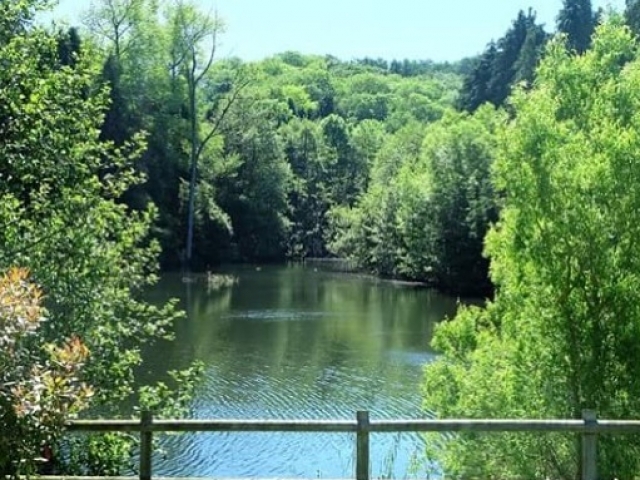 You can watch a DVD, read a book, or use the binoculars to spot wildlife on the pond and in the fields. 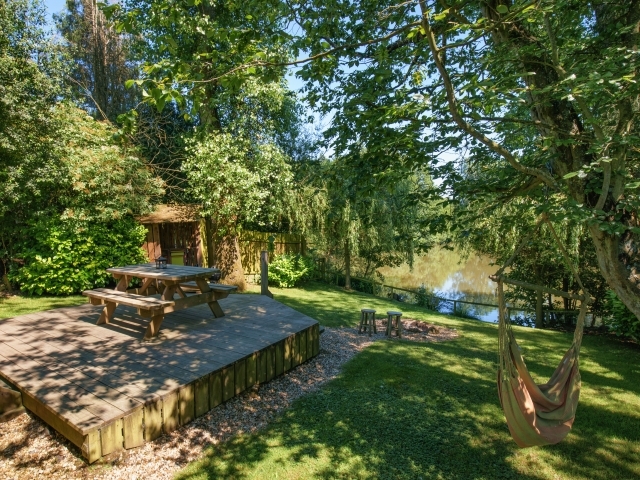 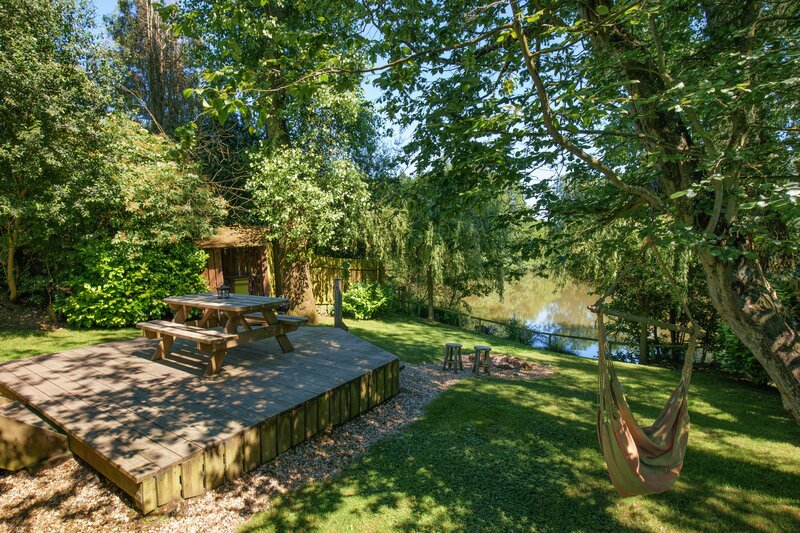 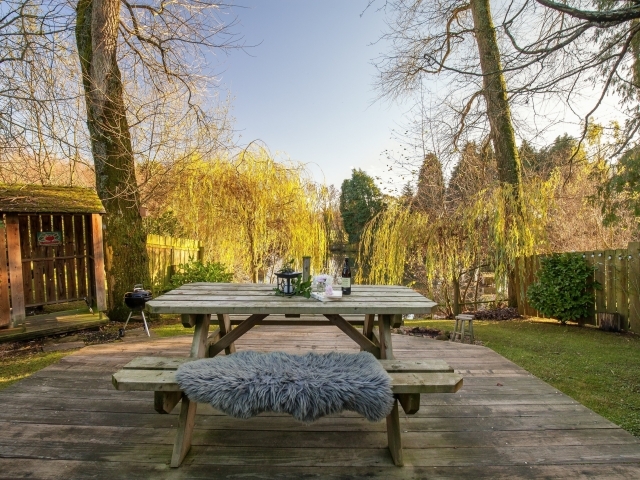 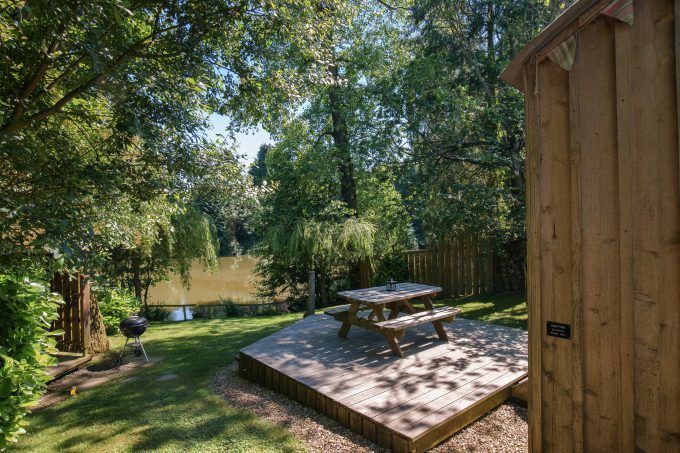 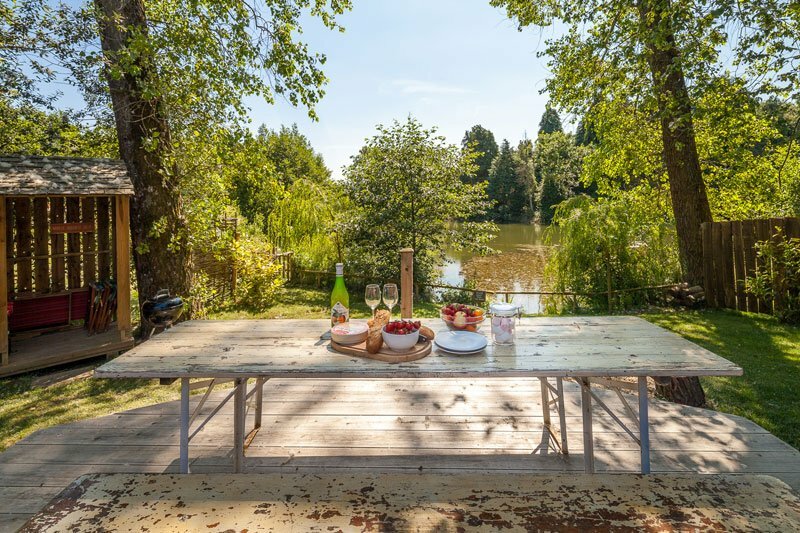 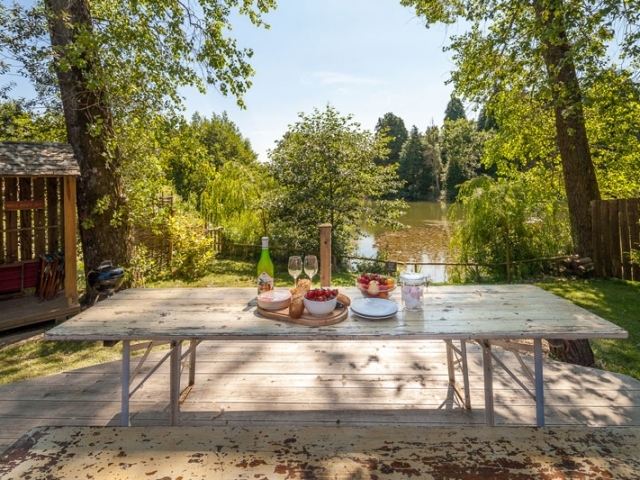 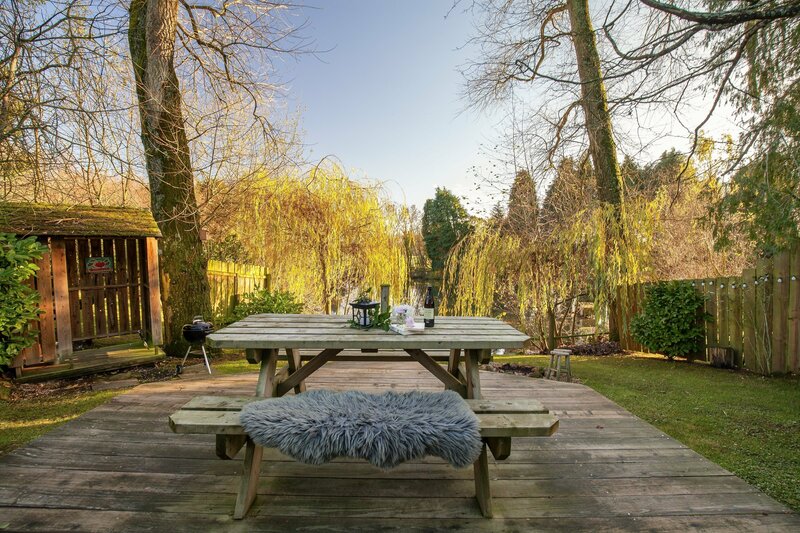 The decking, outdoor kitchen and fire pit allow you to enjoy nature in its fullness. 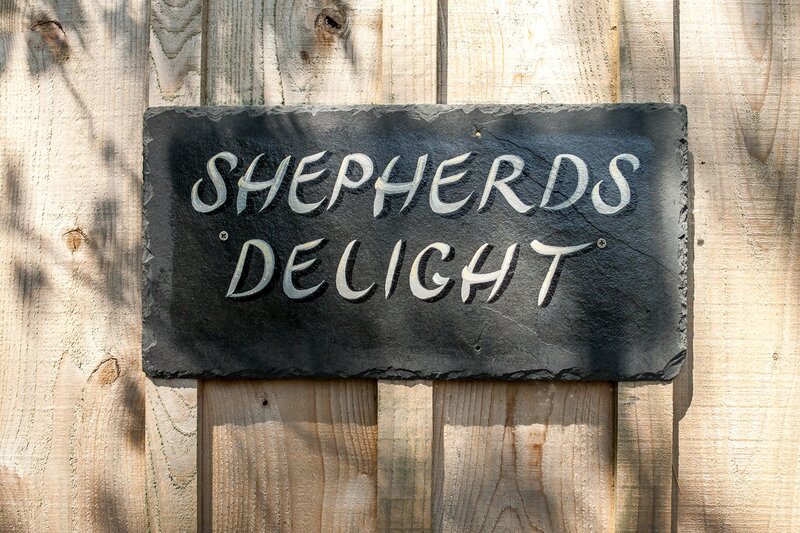 If you were a shepherd you would be delighted! 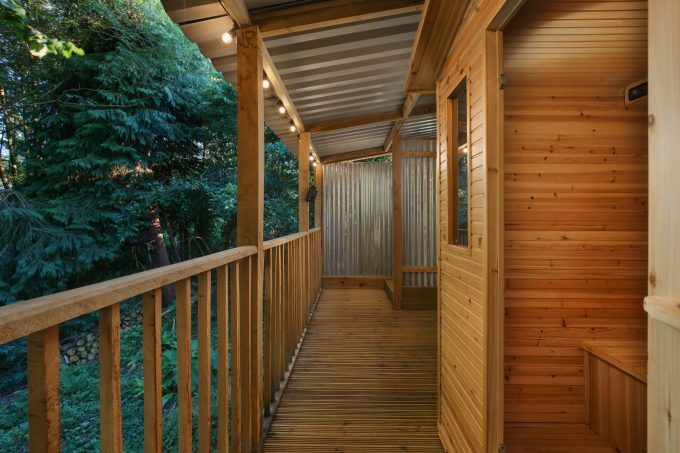 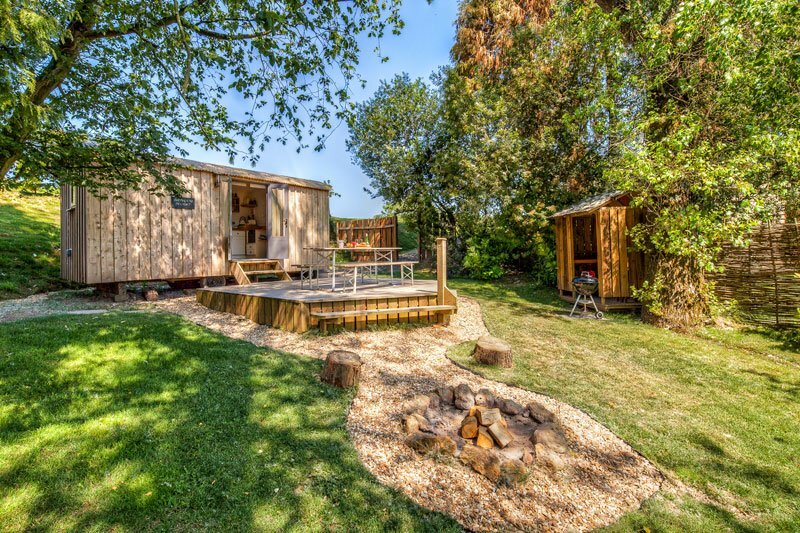 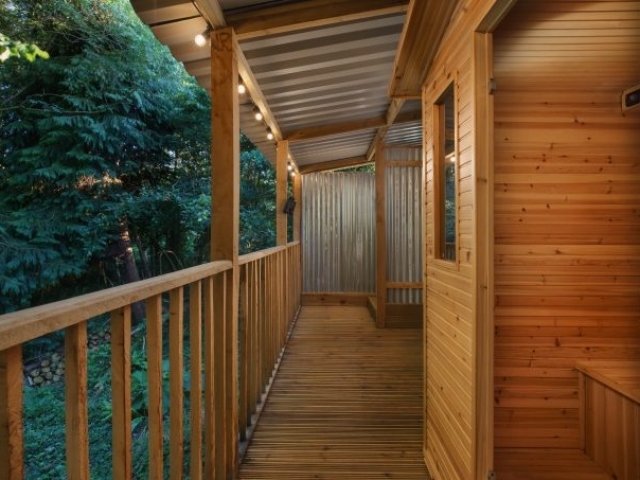 To top off your experience there is a Woodland Sauna with hot outdoor shower a few steps away.